Chic and fabulous are two words that describe these gorgeous diamond drop earrings. 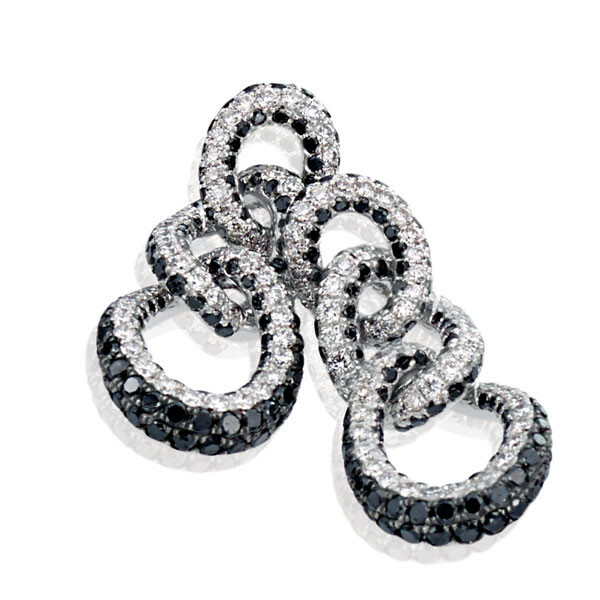 Each earring is comprised of three circles of 18kt white gold that gradually get bigger as they move down, and their irregular shapes are complete embellished with white and black diamonds for a truly tuxedo look. Wear these magnificent diamond drop earrings and the center of attention will definitely be on you!